Kid Friendly Rating: Pee-wee is pretty tame when it comes to movies. It is cute and funny to where your children will enjoy it without violence, language, or anything sexual. 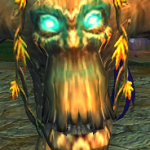 There are a few scary scenes! Parents who watched this when they were younger will remember the Large Marge part where she scared the wits out of everyone (see below gif)! Most Elementary aged children will enjoy the fun of this movie! Recommend 7+ Click here for the Parent Rating Guide! 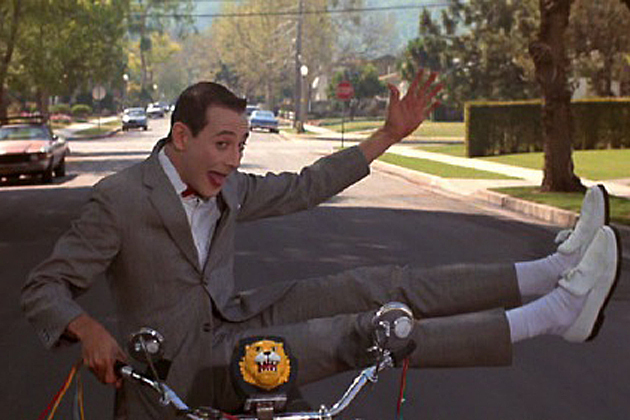 Pee-wee loves his bike, pretty much more than anything else! Every part of it is custom and it is coveted by all. 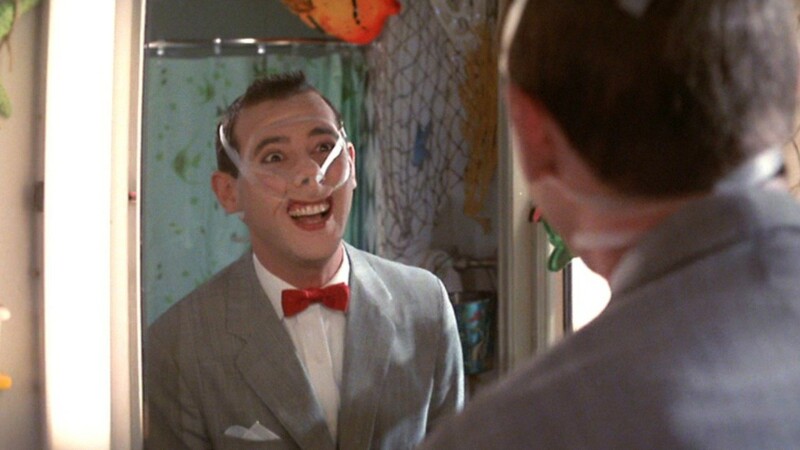 One day, while in the bike shop, Pee-wee’s bike is stolen from the clown he strapped it too. Obviously very upset, Pee-wee pulls his friend together to help him on his mission. When no one seems to be able to help him, Pee-wee seeks assistance from a psychic named Madam Ruby who not only reads tarot cards and does fortune telling, she also does tax preparation! Madam Ruby tells Pee-wee that his bike is in the basement of the Alamo and he sets off on a crazy adventure to find it! Francis: Today’s my birthday and my father says I can have anything I want. Pee-wee: Good for you and your father. Francis: So guess what I want. Pee-wee: It’s simple. Whoever returns the bike is obviously the person who stole it. So they don’t deserve any reward! Final Thoughts: This movie came out before I as born but I watched it all the time with my sister when we were a bit older. I love Pee-wee and all that he has to offer kids, which is just good fun! The show Pee-wee’s Playhouse is one that I will cherish forever and if you can find some episodes for your kids to watch, do it because they will love them! My 4 year old loved this movie and it caused us to laugh as well. We have also watched the Pee-wee Broadway show (which is maybe for kids a bit older) and thought it was hilarious as well! Check Pee-wee out! He is so funny and the kids love him. Have you seen this movie? Give us your thoughts!